As we move closer to fall, it’s been fun to watch our leaves turn colors. 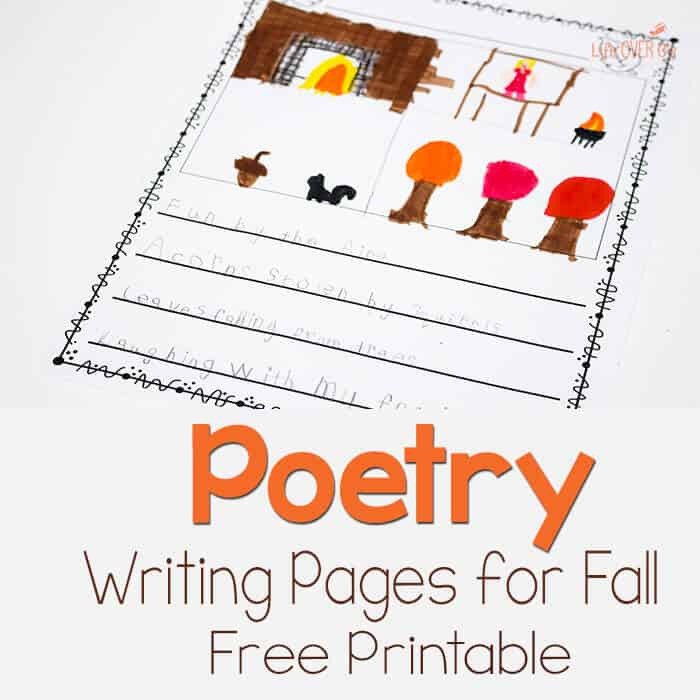 We decided to write some poetry about it, so I made these free printable poetry pages for fall to share with you. We started with a fun “FALL” acrostic poem, but you can do whatever style you would like. Jaida was impressed to learn that acrostic poems are not required to rhyme. She almost didn’t believe me. She still struggles with rhyming words that have multiple syllables, so this was a non-stress way to get her interested in poetry. She dictated her poem to me and I wrote it on a scrap piece of paper for her to copy because she is so intent on getting the spelling correct (no, I did not misspell ‘squirrels’, but I also didn’t tell her that she did because some things are just not worth it.) I wanted her to have a positive experience with her first time writing a poem, so that she could feel confident doing it in the future. 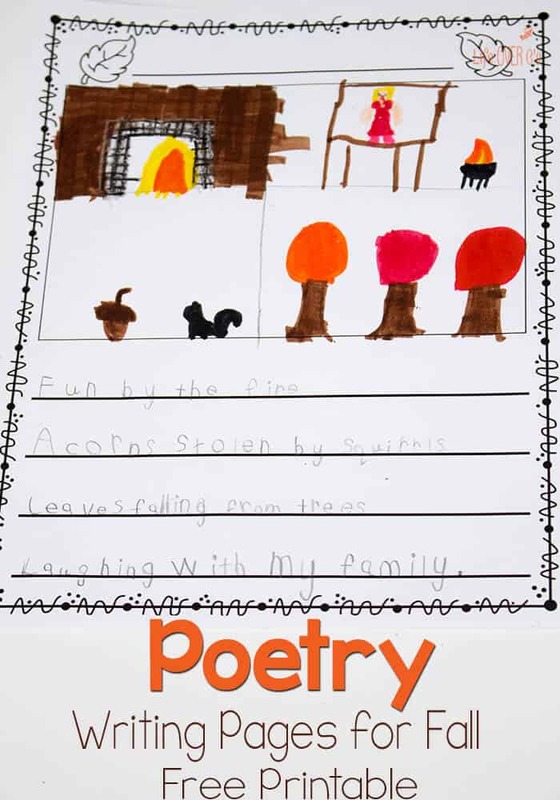 After writing her poem, she drew her illustrations. She decided on one picture for each line of the poem. Can you tell which picture goes to which part of the poem? 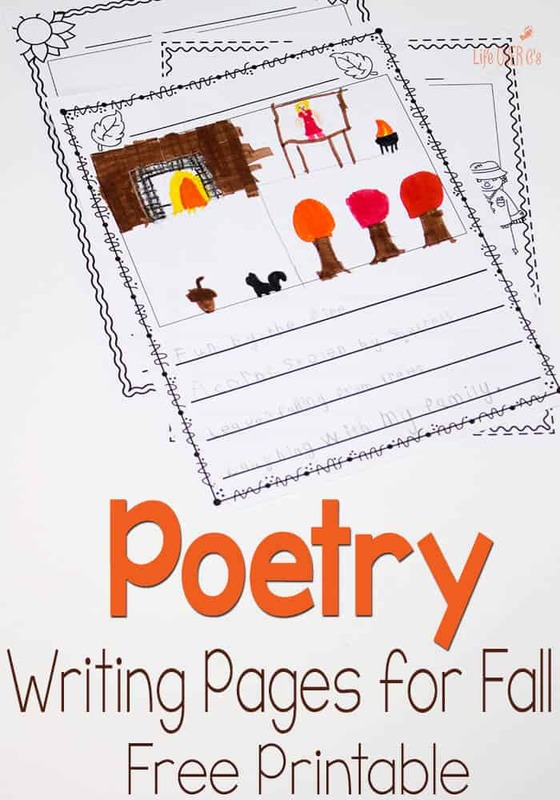 Download the Free Printable Poetry Pages for Fall here. Acrostic poems are so much fun! Fantastic I was looking for something like this for the kids. The love being able to draw a picture as well as add in their own poems or writing below.